Simon Hargreaves QC specialises in disputes arising from construction, process engineering and process plant construction, civil, geotechnical, structural, mechanical and electrical and marine engineering, IT & technology systems, logistics, transport, energy contracts, tunneling, nuclear decontamination, nuclear build, asbestos decontamination, wind turbines, piling onshore & offshore, water treatment, infrastructure and utilities contracts, rail contracts, collapses, floods and fires. Simon also has considerable experience of professional negligence claims and related insurance claims across all the areas of his practice, including claims for and against civil, structural and process engineers, geotechnical engineers, mechanical and electrical engineers, architects, asbestos professionals and contractors, project managers, construction managers, quantity surveyors, IT consultants and costs consultants. 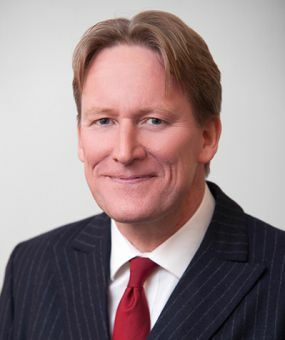 Simon has been involved in a number of high profile cases both at first instance and in the Court of Appeal across the different areas of his practice, principally construction, process engineering, civil, structural and marine engineering, fires, floods, rail, construction professionals’ negligence and IT disputes. In recent years he has been involved in claims arising from: Crossrail; desalination plant in Qatar; ferry terminal in Jordan; gold mining in Burkina Faso; chlorine manufacture; hydrocrackers; flooding in the Greenwich Millennium Village; the Magna Park fire; the Gerrard’s Cross tunnel collapse; the Chancery Lane Tube derailment and claims arising on Wembley Stadium. Simon specialises in all forums including litigation, arbitration (international and domestic), adjudication and ADR as well as relief concerning pre-action disclosure, summary judgment, interim payment, strike out, security for costs, arbitration applications, appeals from arbitrators and serious irregularities, injunctions and bond applications. Simon has extensive PFI experience and regularly advises NHS Trusts and project companies in relation to local authority infrastructure contracts; hospitals; waste contracts. He also appears on several panels as Adjudicator for resolution of PFI disputes. Simon has a swiftly growing practice sitting as arbitrator, adjudicator, expert and on dispute boards. Acting for and advising Project Co in relation to street lighting and other local authority infrastructure PFI contract in the north of England.The issues included: application of Adjustments retrospectively (derivation of date and time of Adjustments); calculation of adjustments; proper construction of Adjustments provisions; whether Adjustments amount to a penalty; validity of claims based on sampling; problems arising from informal Change; construing contractual provisions (Performance Standards) in relation to performance failures, update failures and reporting failures; application of good faith clause; proper construction of double-counting clause; proper construction of overpayment / wrongful deduction clause; analysis and construction of several Method Statements on a range of topics; issues concerning systems databases, updates and access; issues concerning monthly monitoring reports; application of equitable remedies; unconscionable clauses and unjust enrichment. Acting for and advising Project Co in relation to street lighting and other local authority infrastructure PFI contract in the South West.Issues included application of Adjustments retrospectively (derivation of date and time of Adjustments); calculation of adjustments; proper construction of Adjustments provisions; penalty. Advising Project Co in relation to a voluntary termination by a Council of a Schools PFI Project Agreement. Acting as Adjudicator in a heavy dispute between an NHS Trust and Project Co arising from a PFI contract.The issues over two 1-day hearings with numerous witnesses included: fire compartmentation; whole Hospital Unavailability; construction and application of Declarations of Unavailability; construction and application of Availability Charge Deductions; construction and application of Over-riding Clinical Reason (one of the mechanisms for occupying when Unavailable); whether Availability Charge Deductions a penalty; construction and application of obligation to Vacate; Deductions caps; application of the obligation of good faith; construction and maintenance defects; detailed application of pay mech. This decision is in circulation having been obtained several times under Freedom of Information requests. Advising an FM Services Contractor in relation to an FM Services Contract under a Hospital PFI scheme. Issues included retrospective application of deductions and service failure points. Acting for and advising NHS Trust in a dispute with Project Co arising from PFI contract. The principal concern was a hospital-wide foul drainage system deficiency. Issues arising included: declaration of whole hospital Unavailability; interpretation of and application of definitions of Fault, Unavailability Event, Accessibility Condition; Safety Condition; Use Condition and Prescribed Health Function Condition; penalty; who determines the classification of a default logged at the Helpdesk; whether Unavailability needs to be determined before it can be applied; whether Unavailability needs to be direct as such or whether it can be consequential Unavailability; interpretation and application of Excusing Cause. Other system defects included: door failures; ventilation issues; AGV system; disfunctional helpdesk; defective glazing; pneumatic tub system failings. Acting for and advising Project Co in a dispute with NHS Trust arising from PFI Contract.Issues include: crystallisation of disputes; whole Hospital Unavailability; whether a determination of Unavailability is needed; complex details as to application of payment mechanism; whether facts amount to Unavailability; construction of and validity of notice of Unavailability; proper construction of “Emergency Situation”; whether areas used in an Emergency Situation; entitlement to access; whether access prevented remedial works; burden of proof as to whole Hospital Unavailability; penalty; recoupment of Building Availability Fee Deductions; validity of Service Fee Deductions. Advising NHS Trust in a dispute with Project Co as regards deficient fire compartmentation. Issues included: crystallisation of disputes; limitation issues concerning warranty claims against the building contractor and construction professionals; limitation periods for indemnity claims; whether a claim for damages can be brought against Project Co, or whether deductions and service failure points are sole remedy. Acting for and advising NHS Trust in a dispute with Project Co arising from PFI Contract.Issues include: correct application of Service Failure Points; correct classification and reporting of issues at the Helpdesk; correct application and interpretation of HTMs and recruitment of Authorised Engineer and Authorised Person; disputing Project Co Monthly Reports. Acting for and advising Project Co in a dispute with NHS Trust arising from PFI Contract.Issues include: crystallisation of disputes; fire compartmentation; whole Hospital Unavailability; whether a determination of Unavailability is needed; construction of and validity of notice of Unavailability; interpretation and application of Safety Condition; access. Year-long appointment as sole member of Dispute Avoidance Board by Trust, Project Co, Contractor and Service Provider in relation to ongoing major hospital PFI project. Advising Project Co in an ongoing Waste PFI contract as regards construction of various clauses and termination. Acting as Counsel in an arbitration concerning a PFI project for the delivery of the first fully integrated communications network on the London Underground, including the provision of radio communications between trains and control rooms and radio communications between members of staff by hand portable units, and telephone and video communications between LUL assets. Acting as Counsel in a preliminary issue as to the correct interpretation of a clause dealing with the limitation period for potential claims by householders against the NHBC. Acting as Counsel in a case where the Court determined the test to be applied where a party sought early disclosure after commencement of proceedings (so not pre-action disclosure) but nonetheless before pleadings and well before the usual timing of disclosure. Acting as Counsel in a dispute concerning alleged embrittlement and cracking of hot and cold water CPVC pipework. Issues included: alleged leaching of phthalate esters from rubber compensators; stress, strain and toughness of CPVC; no loss; unreasonable remedial works. Acting as Counsel for the Developer in the Accolade litigation. Issues included: construction of design and construct obligations; remoteness; reasonableness of remedial works; rectification; diminution in value; blight; execution and delivery of deeds; estoppel by deed; estoppel by contract; estoppel by convention; avoidance for common mistake; strike out. Technical issues included: site investigation reports; non-working pile testing; working pile testing; determining settlement criteria; negative skin friction; defective piling; resin jacking a piled slab. Acting as Counsel in dispute concerning the carrying out of track, electrification and signalling works, and the construction of new satellite siding, in relation to a train maintenance depot which was to remain operational throughout. Acting as Counsel for a sub-contractor at first instance and in the Court of Appeal in a case concerning a flood at a development in Greenwich. Issues included: construction of obligations; Canada Steamship principles applied to up the line inspection obligations; application of the “but for” test in a case of multiple causes; multiple causes of loss in a claim for a contractual indemnity. Acting as Counsel in a trial producing three reported judgments concerning groundworks for the development of a supermarket. Issues included: misnomer; rectification for common or unilateral mistake; liability for the provision of warranties, performance bonds and parent company guarantee after termination / repudiation. Acting as Counsel in relation to a dispute concerning an EPC Contract for the design supply installation and commissioning of boilers and other plant for a major chlorine manufacturing plant. Acting as Counsel in disputes arising from the Gerrard’s Cross rail tunnel collapse. Issues included: setting of deflection thresholds; design deflection limits; arch deflections; monitoring of arch deflections; utilisation of and departure from fill sequences around and above arch. Acting as Counsel for a high profile hotel development. Issues included construction of liquidated damages clause; penalty; evidential estoppel and contractual estoppel. Acting as Counsel in long-running litigation concerning design and construction of Wembley Stadium steelwork. Simon Hargreaves QC has acted and advised as Counsel on all of the main forms of contract including: JCT; ICE; FIDIC; NEC3; IChemE; IMechE; PPC; TPC; GC/Works; RIBA; ACE; CIC; RICS contracts and innumerable bespoke development; construction; design; professional and services contracts. Claims against insurers and brokers. Appears on several informal panels as Adjudicator for resolution of PFI disputes. Routinely proposed, subject to availability and conflict checks. Appearing as Counsel in a case concerning Nuclear decontamination of a Grade 1 facility. Issues included: extent of permissible radiation levels (Becquerels per sq cm – beta, gamma and alpha); caesium 137; cobalt 60; exploranium monitoring; compensation events; method statements; means of control; monitoring pre- and post-removal. Appearing as Counsel in an arbitration concerning design of nuclear power station turbine blades at well-known UK nuclear power station. Issues included: fraud in design; misrepresentation; resonances in blades in operation; fatigue cracking; finite element analysis. Advising and drafting case for a successful arbitration concerning North Sea oil and gas recovery; presence of salt in the Production; construction of Gas Specifications; compliance or otherwise of gas with Gas Specifications; construction of Transport, Processing and Operations Services Agreements; ancillary issues concerning the desalination plant; construction of ancillary agreements concerning commingling. Advising in relation to a contract for design construction and delivery of a Flotel in the North Sea including: defects in construction; abortive delivery; HSE project licencing; termination of contract; recoverability of losses pursuant to contract / at common law; exclusive remedies or not; recoverability for misrepresentation, deceit, reckless or wilful act or omission or gross negligence, total failure of consideration. Advising in relation to ICC arbitration concerning petrochemical facility at Rabigh, Saudi Arabia, issues concerning RFISU, Milestones, delays, construction of interim agreement and change. Advising in relation to dispute concerning civil, utilities and erection sub-contract relating to Tankage Works project at Gas to Liquids facility at Ras Laffan, Qatar, issues concerning buyback clauses, contractual discretion, innominate terms. Appearing as counsel in ICC arbitration concerning major desalination plant in the Middle East, issues concerning delays and extensions of time, weather, design, prevention. Advising in relation to a FEED, EPC and PM contract for Dukhan Consolidated Facilities Upgrade Project, Qatar, issues concerning proper construction of payment provisions. Advising in relation to a refurbishment of oil refinery plant in Russia, issues concerning delays, time at large, breaking down of contract machinery and technical issues as regards hydrocrackers. Advising in relation to subsea installation, hookup and precommissioning and project management in relation to the subsea well tieback to the Benguela and Belize Drilling and Production Platform, Lobito Tomboco Project, Angola, issues concerning supply of materials and relevant contractual rights and remedies. Appearing as counsel in ICC arbitration in Hong Kong, issues concerning the upgrading and restringing of power lines across Papua New Guinea. Advising in relation to contract for LNG terminal in Peru, issues concerning breach of environmental protection requirement, defects, delays and extensions of time. Acting as Counsel in litigation concerning a Gold mining project in Burkina Faso. Issues concerned project management; design; time; process plant defects and overspend on an EPCM contract. Appearing as counsel in several detailed arbitration hearings (and one ancillary High Court hearing) concerning term contracts for road restorations post metering installations in London. Advising in relation to a flooding incident which swept away several properties in an ongoing development. Issues included liability under the Water Industry Act 1991 and recoverability of pecuniary losses consequent upon physical damage. Advising in relation to a sewage processing plant. Issues included: appropriateness of input sludge (including volatile solids; % dry solids); dewatering potential and equipment; anoxic processing; biological phosphorous removal; Take-Over and Performance Testing; termination for cause or convenience. Advising and drafting proceedings against a water undertaker in relation to transactions with a developer for the provision of water mains. Issues included: overcharging for the provision of water mains; misrepresentation; unlawful contracts; severance; void contracts; unjust enrichment; common and unilateral mistake; rescission; restitution. Acting and advising in relation to numerous AMP contracts throughout UK. Acting as Counsel and advising in relation to the M6 Toll Road project. Numerous rail contracts (see under “Rail”). Appearing as Counsel in a 4-day contested arbitration concerning the recoverability of cost under Part G of the Network Code in respect of Network Change, under the Track Access Conditions in respect of Restrictions of Use (including RoU type 1, RoU type 2 and RoU type 3), under the Station Access Conditions, the Template Cooperation Agreement, and the Depot Access Conditions in respect of Maintenance and Renewals. Acting as Counsel in litigation concerning the Chancery Lane underground derailment. Issues included design liability of bogie designers and manufacturers; fitness for purpose; design life; single point failure; fatigue cracking; finite element analysis; machining tolerances; thermal differential between components; heavy quantum issues. Acting as Counsel in several disputes arising from Crossrail. Acting as Counsel in arbitration concerning the design and construction of a new fleet of trains. Advising on recoverable losses arising from serious damage to a train. Advising in relation to contractual issues concerning the renewal of a rail franchise. Advising in relation to the operation of option provisions in a train maintenance contract. Advising in relation to the construction of a TSSSA, including as to the interpretation of detailed terminology concerning the spares supply service. Advising on the related Manufacture and Supply Agreement. Acting as Counsel in heavy ICC arbitration concerning major desalination plant in the Middle East, issues included: delays and extensions of time; EIA report; weather; power supply connection; early possession; completion of Acceptance Tests; weather; design; prevention; detailed quantum; applicability of LDs. Advising in relation to a Master Services Agreement in South Africa. Acting as Counsel in highly complex ICC arbitration in Hong Kong, issues concerning the upgrading and restringing of power lines across Papua New Guinea. Acting as counsel in ICC arbitration in Hong Kong, issues concerning the upgrading and restringing of power lines across Papua New Guinea. Acting and advising in relation to a Topsides, Build and Integration subcontract for a Hull to be fitted into a Semi-Submersible Drilling Rig. Issues included: construction of terms of novation; permissibility of omissions; termination for convenience. Acting in relation to a contract for design construction and delivery of a Flotel in the North Sea including: defects in construction; abortive delivery; HSE project licencing; termination of contract; recoverability of losses pursuant to contract / at common law; exclusive remedies or not; recoverability for misrepresentation, deceit, reckless or wilful act or omission or gross negligence, total failure of consideration. Acting in relation to grouted connection defects in North Sea wind farm, issues including DNV standards and certification. Advising and drafting DAB proceedings in relation to an offshore wind farm in the North Sea. Issues included: disputed variations; appropriate relief; interim remedies. Advising in connection with offshore cryogenic containers, issues including DNV certification notes. Advising in connection with several Oil and Gas Installations (including design, procurement and construction of refinery plant). Appearing as Counsel in a trial concerning a design and supply contract for software and hardware for a Fire and Ambulance Command and Control Centre in Dublin. Issues included: alleged shortcomings in legacy data; whether contractor should have warned of shortcomings; data integration; causes of delay; compliance with FATs phases 1 and 2; loading rules changes; utility programmes; compliance with SATs; bugs / defects; condition precedent; achievement of LAD milestones. Acting as Counsel in litigation concerning a design and supply contract for software and hardware for materials handling systems including ASRS cranes, associated aisle equipment, pallet conveyors serving a bulk store, associated control systems and other equipment and systems, for a well-known national distribution centre. Issues included: functionality of WES software; functionality of easypick to light; interface between WMS and WCS; compliance with Tests on Completion; bugs / defects; compliance with Performance Tests; construction of certificates. Acting as Counsel in litigation concerning a business software design and supply contract for a handler and supplier of specialist construction products. Issues included: construction of obligations as regards software localization; construction of obligations as regards software integration with existing and future modules; construction of time obligations; Go Live issues; bugs / defects; termination; limitation of liability clauses. Acting as Counsel in an arbitration concerning the design and supply of software for various aspects of Transport for London’s upgrade of the London transport network, including Oystercard. Acting as Counsel in a dispute concerning the design and supply of software and hardware for a Warehouse Control System for a national distribution centre enabling order consolidation for picking and automated sortation for packaging and distribution out of a possible 14 million base items. Issues included: allocation of risk between contractor, project manager and client as regards overall project requirements; obligations as regards identifying project requirements; responsibility for legacy data; mechanics of material handling equipment; carton fill algorithms; mainframe order consolidation; mainframe extracts by transport code; automatic batch opening and closing. Acting as Counsel in litigation concerning a contract for the design, supply and construction of a dry mix mortar and concrete processing plant. Issues included: defects in the fluid bed dryer / cooler; processing capacity; final moisture content; caking and sticking; operational failures and fires; termination; losses. Advising in relation to liability for project overspend in a mixed use development including as against development manager; project manager; quantity surveyor and others. Acting for and advising in relation to a long-running dispute concerning a major project overspend in a high profile car showroom development including as against project manager; contract administrator and quantity surveyor. Acting as Counsel in relation to a tunnel collapse against civil engineer, project manager and project supervisor. Acting in litigation against the designer of engine mountings on rail stock. Acting in proceedings against an architect for failure to advise properly in relation to budgeting, negotiations, procurement, inspection and cost control. Acting in proceedings against a civil and structural engineer, and a geotechnical engineer, in a major housing development of several hundred properties affected variably by settlement or heave. Acting in proceedings against an architect in connection with a sports facility for failure adequately to specify adequately; failure to coordinate; failure to supervise; certifying when defects present. Acting in arbitration against a turbine designer for negligent design and fraud. Acting in proceedings against an architect and quantity surveyor as regards a project for the removal of asbestos. Acting in proceedings against a civil engineer and a geotechnical engineer in relation to groundwater washing away engineered fill. Acting in proceedings against an architect and a mechanical engineer in relation to defects in an HVAC system. Acting in proceedings against an architect for failure properly to specify a hot and cold water system. Acting in proceedings against structural engineer and architect as regards cladding design. Acting on behalf of a major supermarket in proceedings against an architect, mechanical services engineer, project manager and construction manager. Acting as Adjudicator in a detailed dispute concerning a term contract for road repairs and the incidence and liability for certain local authority charges. Issues included: construction of framework agreement; conditions precedent. Acting as Adjudicator in a highly technical dispute concerning a bespoke and complicated Development Agreement for the construction of two hotels. Issues included: correct construction of detailed provisions concerning Employer’s Variations; adequacy of build-ups to EVs; time and money consequences; recovery of “cost”; meaning of “cost” under several heads; recovery of finance charges; recovery of Developer Costs. Acting as Adjudicator in a heavy dispute between an NHS Trust and Project Co arising from a PFI contract. The issues over two 1-day hearings with numerous witnesses included: fire compartmentation; whole Hospital Unavailability; construction and application of Declarations of Unavailability; construction and application of Availability Charge Deductions; construction and application of Over-riding Clinical Reason (one of the various PFI contractual mechanisms for occupying when Unavailable); whether Availability Charge Deductions a penalty; construction and application of obligation to Vacate; Deductions caps; application of the obligation of good faith; construction and maintenance defects; detailed application of pay mech. This decision is in circulation having been obtained several times under Freedom of Information requests. Acting as Expert in conjunction with a QS in a dispute concerning contractor’s liability for design coordination. Resolving that questions and providing guidance by way of examples to assist the future administration of the contract. Year-long appointment as sole member of Dispute Avoidance Board by Trust, Project Co, Contractor and Service Provider in relation to ongoing major hospital PFI project, including facilitating application of pay mech. "Has a brain the size of a planet; he just knows everything. We really respect him and trust his advice." "Straight forward and a pleasure to work with." "Simon is excellent: user-friendly, great with clients and experts, approachable and a strategic thinker." "Detailed, comprehensive and practical advice delivered in a user-friendly manner for both solicitors and clients." "A calm, broad-shouldered advocate who soaks up the pressure." "An enthusiastic, proactive and unflappable advocate, who oozes class in court and leaves nothing to chance." Simon Hargreaves QC 21st August 2007. Assistant Editor, Construction Law Yearbook 1994, 1995 and 1996. Editorial team, Keating on Building Contracts 7th edition 2001. Simon Hargreaves QC has presented seminars to TECBAR, TeCSA, Chartered Institute of Arbitrators, firms of solicitors and developers and contractors. Simon Hargreaves QC is married with three daughters, lives in West London and enjoys skiing and diving.